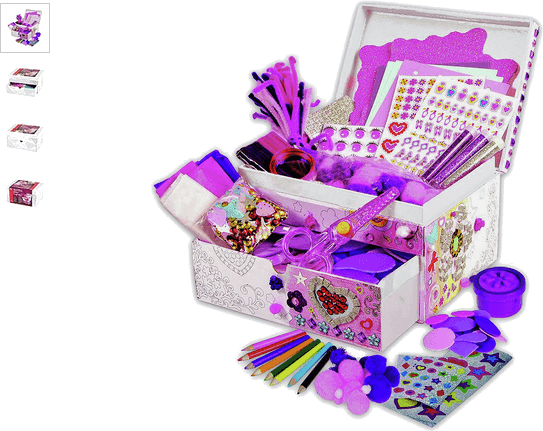 The Chad Valley 1000 Piece Sparkle Box is a blank canvas for your little one to fully express themselves. Use the one thousand (1000) craft pieces including eight (8) colouring pencils to bring to life something completely one-off and unique. Once the craft box is decorated to the satisfied delight of little ones you can use it to hold all your essentials items as it becomes a lovely accessory to a bedroom. Plus, there are still loads of extras to enjoy such as sequins, holographic and glitter mosaic shapes for getting creative with; perhaps your want to make a bookmarks, collage, origami models, gift tags, a scrapbook or wherever else limitless imagination takes you. Get money off with April 2019 free Argos voucher codes, see if there's a discount code for the Chad Valley 1000 Piece Sparkle Box product.